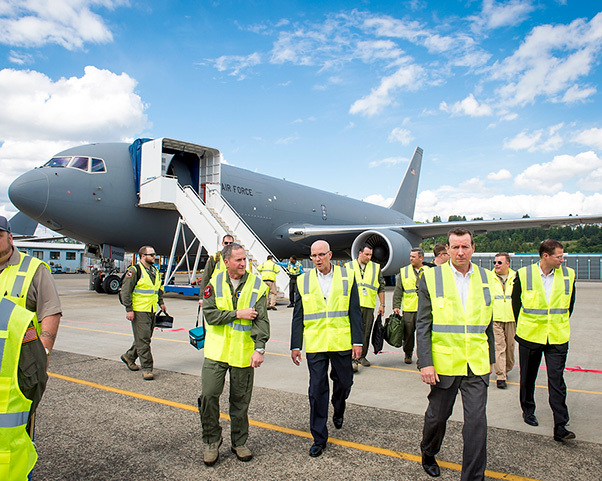 Chief of Staff of the Air Force Gen. David L. Goldfein visits Boeing Field in Seattle, where the KC-46 Pegasus tanker is under development. The KC-46 program achieved an important milestone July 6, 2018, at Boeing Field, with completion of the final flight tests required for first aircraft delivery to the U.S. Air Force. A KC-46A Pegasus tanker takes off from Boeing Field, Seattle, June 4, 2018. 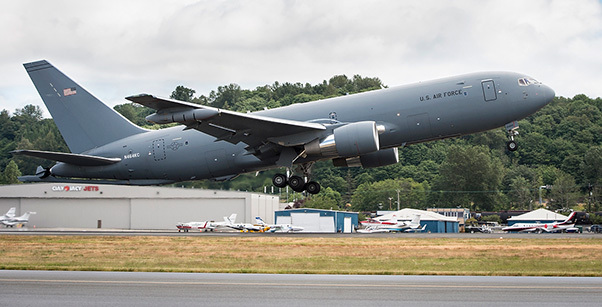 The KC-46 program achieved an important milestone July 6, with completion of the final flight tests required for first aircraft delivery to the U.S. Air Force.